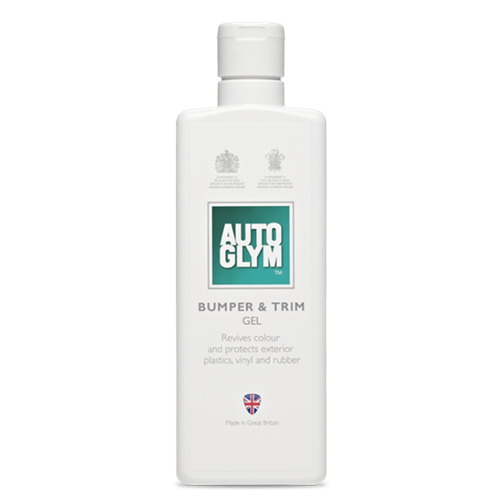 Autoglym Bumper & Trim Gel cleans and revives colour on bumpers and trim It restores ageing trim to its original finish. Plastic bumpers suffer under the stresses of harsh driving conditions just as much as your paintwork. Autoglym Bumper Care cleans and revives and restores bumpers to their original new look. 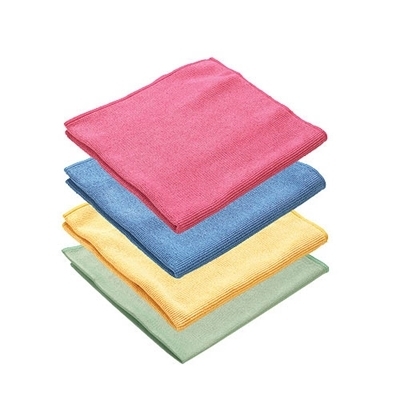 It continues to protect the surface by forming a tough translucent and waterproof barrier. Works great on all colours of exterior plastic and rubber components, including bumpers, fenders, grilles, mirror casings, mouldings, trim, tyre walls, vinyl roofs, spoilers and mudflaps. 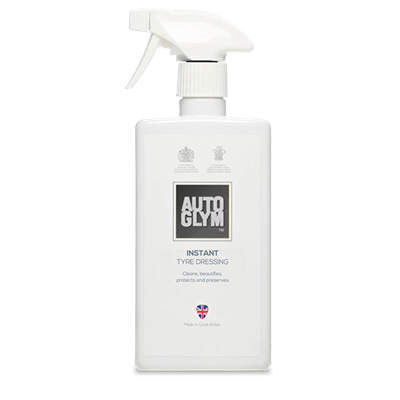 For general application apply with a piece of dry automotive car sponge.Ideal for removing dried on polish stains from bumpers and trim. 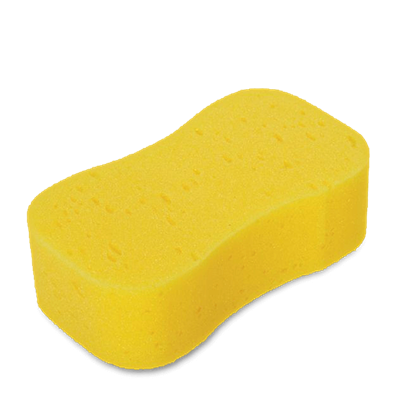 Use a piece of sponge or an old toothbrush to agitate surface.Particularly effective on vinyl roof hoods. Use to rejuvenate the vinyl and help to proof against water. 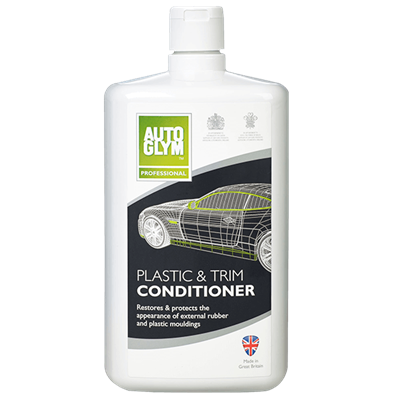 Autoglym Plastic & Trim Conditioner restores and protects external plastic or rubber mouldings. 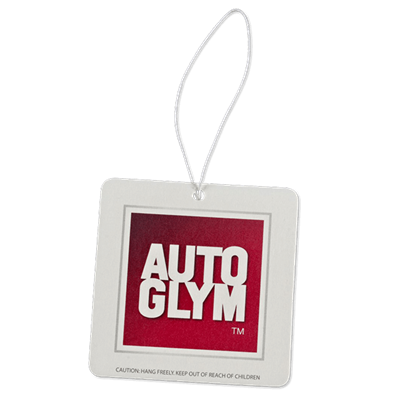 Autoglym's Bumper & Trim Detailer is a super-fast dressing that instantly restores colour and sheen to plastic bumpers and trim of all colours.